Eurosonic Noorderslag is gearing up for it’s most dynamic edition to date which will feature four days and nights of live music, conferences, industry networking and innovation. Over the event’s 30 year history, Eurosonic Noorderslag has cemented it’s position as the stand-out get together for the European live music scene while expanding in the fields of digital business and live music innovation. Eurosonic Noorderslag features a festival programme that spans four days with over 350 artists from over 31 European countries set to perform from the 11th – 14th of January in Groningen. From pop, rock, indie, folk and everything in between, Eurosonic Noorderslag is the place to discover the best new and breakthrough talent of 2017. Over its 30 year history, Eurosonic Noorderslag has been dedicated to the better circulation of European music, with a proven track record for helping break new artists on the international live music scene, kick-starting the careers of European acts such as Ásgeir, Aurora, Birth of Joy, Christine and the Queens, De Staat, Dua Lipa, First Aid Kit, Hozier, James Blake, Franz Ferdinand, Milky Chance, My Baby, Royal Blood and Seinabo Sey. Find out more about the full lineup for Eurosonic Noorderslag 2017 here. As well as all the amazing new acts performing at the event this year’s conference programme includes top-tier keynote speakers such as BBC Radio 1’s Head of Music Chris Price, Legendary German promoter Ossy Hoppe, SXSW conference programmer Todd Hansen and Seymour Stein co-founder of US label Sire. Topics up for discussion range from ‘The Future of Media’, ‘Where are Women in the European Live music industry?’, ‘Labels, Media & Festivals’, ‘Music Venues in Europe’ and Buma Music Meets Tech (BMMT) will be hosting a variety of seminars. The conference takes place in the Oosterpoort as part of the festival. Find out more about the conference programme. Each year Eurosonic Noorderslag highlights a different country, showcasing the diverse musical talent across Europe. This year Portugal will be the focus country taking centre stage, organised in cooperation with WHY Portugal. A total of 21 acts from Portugal will be performing at the showcase festival in January: :papercutz, Batida presents The Almost Perfect DJ, Best Youth, DJ Firmeza, Dj Ride, First Breath After Coma, Gisela João, Glockenwise, Holy Nothing, Marta Ren & the Groovelvets, Memória de Peixe, Moonshiners, NEEV, Noiserv, Octa Push, Rodrigo Leão, Sam Alone and the Gravediggers, The Gift, The Happy Mess, Throes + The Shine and We Bless This Mess. Find out more about the Portuguese acts at #ESNS17. WHY Portugal: Country Focus Panel. Come and find out WHY Portugal is one of Europe’s most promising breeding grounds for new music. With: David Ferreira (RTP), Pedro Coquenão (Batida), Márcio Laranjeira (Lovers & Lollypops) moderator: Rui Miguel Abreu. On 11 January 2017, the Dutch city of Groningen hosts the 14th European Border Breakers Awards, the European music show dedicated to up-and-coming bands and acts. The Awards this year go to Alan Walker (no), Jaakko Eino Kalevi (fi), Namika (de), Hinds (es), Filous (at), Jain (fr), Dua Lipa (gb), Era Istrefi (al), Natalie La Rose (nl) and Walking on Cars (ie). The awards recognise new acts based on success outside their own country. 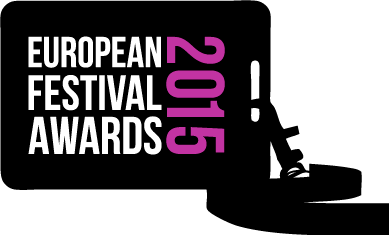 The Awards are a chance to discover and celebrate the best of contemporary European music. All the winners will feature in the award show, hosted by celebrated musician and presenter Jools Holland. The show will be recorded for TV and is available to all European public broadcasting stations. The eighth annual European Festival Awards presented in association with Yourope will take place on January 11, during the opening night of Eurosonic Noorderslag, at De Oosterpoort in Groningen, The Netherlands, to celebrate the successes of Europe’s music festival industry over the past year. As well as a gala dinner and award ceremony there will be live performances from Roosevelt and James TW. The award shortlists can be viewed here. With no less than 350 up-and-coming acts Eurosonic Noorderslag is one of the best places to discover new music. This year Eurosonic Noorderslag is introducing six Discover Eurosonic Noorderslag playlists on Spotify. Segmented by genre, these playlists are the easiest and most comprehensive way of checking the program out. Eurosonic Noorderslag is the key exchange and networking platform for European music, with a proven track record for helping to break new acts on the international live music scene. Selling out each year, the event attracts close to 4,000 professional delegates, including representatives of over 400 international festivals. Each year, Eurosonic Noorderslag presents showcases by more than 350 acts alongside a conference program covering the latest developments in the international music, media, production and interactive industries. Working on Sziget Festival since its inception, Daniel Panaitescu was responsible for curating’s the event’s award-winning line-up, playing no small part in the ascent of the festival into an organisation of international renown. The Island of Freedom now attracts almost 500,000 attendees from over 100 countries per year, and this cosmopolitan convergence of like-minded individuals is owed in no small part to Dan’s eminent work as an international booking manager. With the festival’s annual line-ups spanning pop, rock, electronic, metal, folk, jazz, blues, alternative and even classical, Dan ensured that the festival truly catered for everyone – making him absolutely integral to Sziget’s atmosphere of inclusivity and togetherness. Born in Brasov, Romania on 6 November 1955, Panaitescu was a restless child whose antics caused his mother to worry whether or not he’d make to adulthood. One such incident involved him climbing up to the top of a church tower, leaving his beloved grandfather with the task of gathering the men of the village to bring him down. A similarly dangerous pastime of Panaitescu and his friends was to throw each other’s bags onto the frozen sea as far as they could and then retrieve their own. He was educated in Constanta, and usually spent summers in the countryside, either at the parish of his grandfather or with other relatives on his father’s side. In 1974, after graduating from the Mircea Cel Bartel lyceum, he was enlisted to be a soldier in the city of Galati. Attending university in Bucharest, Panaitescu graduated with a degree in Economics 1980. In his spare time he worked as a tour guide of the National Tourist Office during his university years and undertook various internships. Following university he was assigned to work in Sighisoara, and discovered that administering sheets and records as an economist was something he considered pointless and unfulfilling. As soon as an opportunity presented itself, he left that life behind, instead opting to establish a kindergarten and work there as a teacher, followed by tenures as a geography teacher, a miner, and a Spanish translator. In 1989, he fled across the border to Hungary. “Do not shoot!” was the only Hungarian expression he knew at that time. Granted political asylum, his initial plan was to go further but this didn’t come to fruition. Instead he found friends, shelter, and work in Budapest – the future birthplace of Sziget. Despite settling in the Hungarian capital, he made every effort to return to Romania to visit and support his parents, whom he maintained a close relationship with. Starting in the early 90s, Panaitescu became actively involved in the touring and concert organisation of the following bands: Beatrice, Pokolgép, Bonanza Banzai, Pál Utcai Fiúk, Európa Kiadó, URH, Sziámi, Auróra, and Hobo Blues Band. Constantly in motion, he was a wandering soul, deeply interested in world affairs, politics, movies, books – and of course – music. He always carried a book with him, because a book could be handy at any time. Across his lifetime he visited nearly 50 countries, and respected all local cultures. Those close to him, however, noted that he often enjoyed the journey more than the destination. Tragically, on July 15, 2016, Panaitescu was involved in a fatal car accident in Gyulafehérvár. He is survived by two children, Ádám and Zoia, as well as their mother, Kata Hocz. The bond between Panaitescu and Hocz was considered ‘a real Sziget love’, as the latter also worked on the festival as its Head of Finance before the birth of their children. 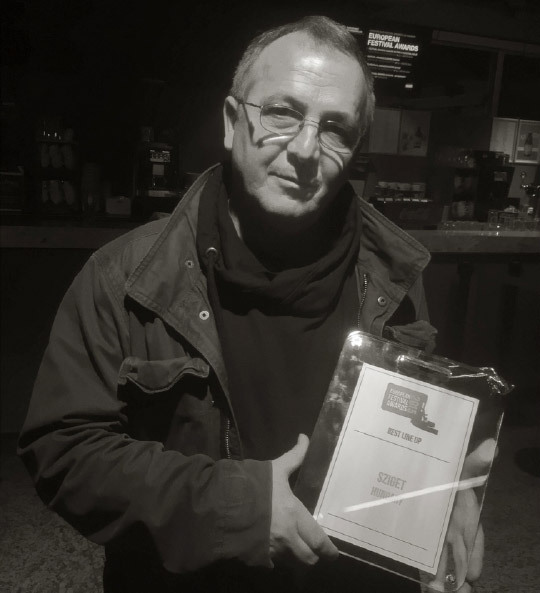 Panaitescu’s vast contributions to the festival industry and the admiration felt towards him from those within it, at every level, are the reasons that the European Festival Awards has named him as this year’s recipient of the Lifetime Achievement Award. The European Festival Awards will take place on January 11, the first night of Eurosonic Noorderslag, at De Oosterpoort in Groningen, The Netherlands. On Wednesday 13th January 2016 the annual European Festival Awards will see one of France’s most distinguished event organising duos receive the ‘Lifetime Achievement Award’, presented by Yourope. Jean-Louis Brossard and Béatrice Macé have been the driving forces behind Les Rencontres Trans Musicales throughout its rich 36 year history – a festival that set out to support local performing artists in its hometown of Rennes in France and ended up enriching the musical landscape of the entire country, attracting such artists as Lenny Kravitz, Ben Harper, Björk, Daft Punk, Too Many DJ’s, Stromae, Jungle, Kate Tempest to make their first appearances in France. Today Les Trans shines as one of Europe’s most important and vibrant international showcase festivals. The dust is still settling on this year’s epic edition which took place across 5 days from 2nd to 6th December with over 55,000 people watching over 130 performances by artists from more than 20 countries. 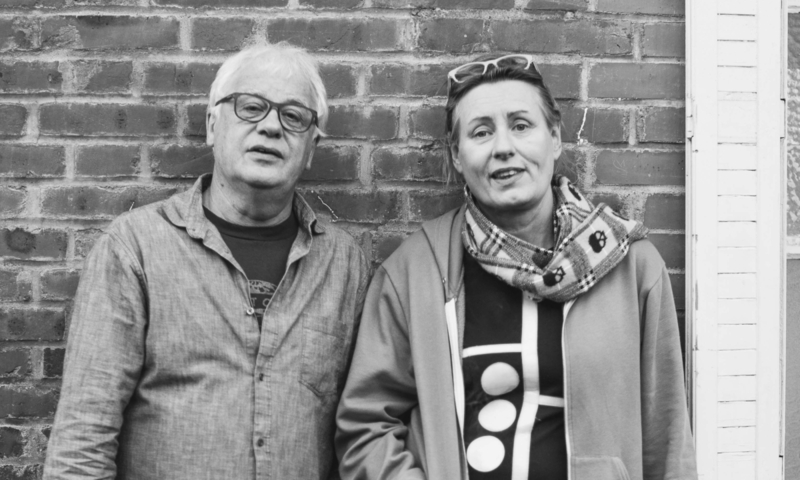 As well as running the annual festival, the Association Trans Musicales, led by Jean-Louis and Béatrice, also manages the Ubu venue, a leading proponent in Rennes’ music scene which helps to develop original new talent and celebrates cultural diversity. The EUROPEAN FESTIVAL AWARDS, presented in association with YOUROPE and Eurosonic Noorderslag, will return in the New Year to celebrate the successes of Europe’s music festival industry. The gala award show will open Eurosonic Noorderslag in style on Wednesday 13th January 2015 at De Oosterpoort in Groningen, The Netherlands. Throughout the evening titles spanning from ‘Best Major Festival’, ‘Artists’ Favourite Festival’, ‘Promoter Of The Year’ to ‘Anthem Of The Summer’ will be handed out to the great and good of the festival world. Decided by a combination of public vote and industry juries, the European Festival Awards are the only pan-European body solely dedicated to recognising the contributions and achievements of the event organisers and performing artists that generate billions of Euros for local economies and brighten up the summer for tens of millions of festival-goers each year. This year’s European Festival Awards featured over 350 festivals from 50 different European countries, with over 800,000 votes cast. The European Festival Awards is the only event solely dedicated to recognising the achievements of the event organisers and performing artists that generate billions of euros for local economies and brighten up the summer for tens of millions of festival- goers each year. Decided by a combination of public vote and industry juries, the awards are presented at a sold-out ceremony that takes place on the opening night of Eurosonic Noorderslag. This year saw a record breaking edition with over 1.2 million votes, and more than 350 festivals taking part from 50 different European countries. The European Festival Awards were established in 2009 in co-operation with Festival Awards Ltd, Yourope (the European Festival Association) and Eurosonic Noorderslag. The European Festival Awards show takes place in De Oosterpoort in Groningen, NL. The votes have been counted and we can now reveal the finalists in this year’s European Festival Awards. This year – the 7th edition – saw over 800,000 votes cast by fans from 50 different European countries for their favourite festivals and artists. The public-voted accolades saw music festivals of all shapes and sizes competing for titles including the Best Major, Medium, Small, New and Indoor Festivals as well as the Line-Up Of The Year. The titles for artists include Headliner Of The Year, Best Newcomer and Anthem Of The Year. But it’s not just about the public vote. Some of the more specialist categories are decided by panels of industry professionals, including Artists’ Favourite Festival, Green Operations Award, Promoter Of The year and the new Agent Of The Year, plus this panel also now decides the final winners within the public-voted selections. The winners will be announced on-stage at the European Festival Awards gala ceremony which returns to crown the opening night of Eurosonic Noorderslag in Groningen, The Netherlands on Wednesday 13th January 2016.